5 Essential Professional Detailing Supplies | Gold Eagle Co.
Getting your car detailed by professionals is a nice treat once in a while, but it’s not always possible to get this service when you want it. Whether you can’t afford detailing services right now or your favorite detailing shop is too busy to fit you in, your next best option is to do the job yourself. And to get the results you want, you’re going to need some professional detailing supplies. So take a look at the top five supplies to buy before you start detailing your car. One of the best professional detailing supplies is the TriNova Foam Cannon. This cool tool will give you some extra car washing power as you try to get your car looking spotless. 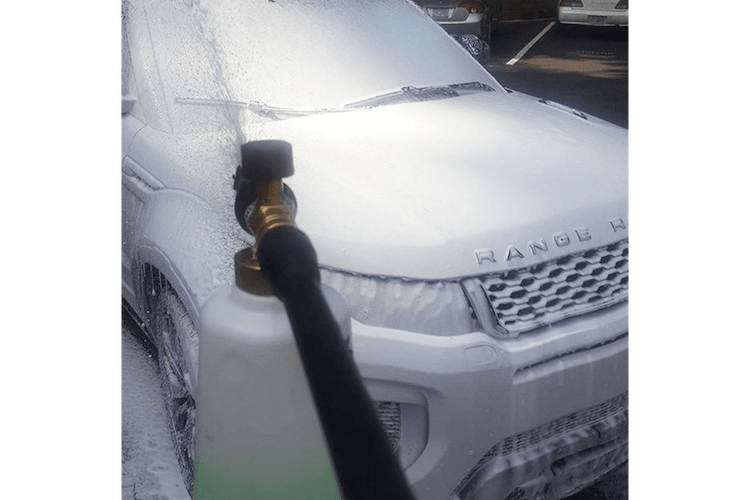 When you fill your Foam Cannon with the right car wash solution, you can then just attach the bottle to a pressure washer and spray it at your car to quickly get rid of all the dirt, dust, grime, insects, and more. With the Foam Cannon, you can easily adjust the knob to increase or decrease the amount of suds you get, depending on the amount you need when detailing your car. So if you’ve never been able to get the results professional detailers always seem to get, it may be because you’ve been missing out on professional detailing supplies like the Foam Cannon—and now it’s time to change that! Other professional detailing supplies you should try to include a clay bar or mitt. When you rub clay on a clean car, you easily get rid of everything, from brake dust to tiny bits of metal that may be embedded on the surface. You can’t always see this type of debris, making it hard to remove during the average car wash. But when you get the TriNova Clay Bar and run the clay over the car, you’ll end up with a smooth surface that’s free of contaminants. Plus, professional detailing supplies like this can even smooth out minor scratches, making your car look practically new again after one detailing session. One of the professional detailing supplies that often gets forgotten about is sealant, which can keep your car looking as clean and shiny as possible between washes. When you use a product like 303 Touchless Sealant, you can look forward to getting your car gleaming within minutes, as you can spray this sealant on your vehicle and then rinse it off in seconds. If you don’t have time to fully wax your car after detailing it, a sealant is a great alternative that will provide several months of protection for your car’s paint. As you shop for professional detailing supplies, don’t forget to pick up a product that can remove minor scratches so your car looks new after you’re done detailing it. TriNova Scratch and Swirl Remover makes it possible for you to buff out minor imperfections on the surface of your car. Plus, it polishes the surface, so it will look glossy and smooth once you’re done with the detailing job. 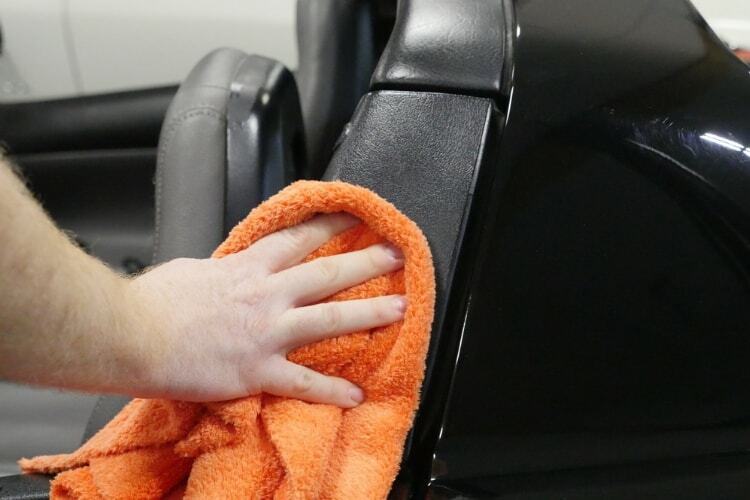 Finally, be sure to buy some microfiber towels before you start detailing your car. They’re great for everything from washing and drying to buffing and waxing your vehicle. They’re also scratch-resistant, so you can rest assured they’ll only improve the look of your car, not make it worse with more scratches and scuffs. And when you buy 303 Ultra Plush Microfiber Towels, you’re getting multipurpose towels that you can even use to clean the house! Once you buy these professional detailing supplies, you should be ready to get your car looking its best. If you’re not sure where to begin, take a look at these Tips from a Professional Detailer first!